EXETER – The American Cancer Society invites those inspiring individuals throughout Tulare County who have won the fight against cancer to join a survivor celebration at the Relay For Life of Exeter. Relay For Life is an event to honor cancer survivors and pay tribute to those who lost their battle. It’s an opportunity for survivors to unite and join in the American Cancer Society’s goal to create a world with less cancer and more birthdays by helping people stay well, by helping people get well, by finding cures and by fighting back. Relay For Life is an overnight community celebration where individuals and teams camp out, barbecue, and walk or run around a local track “relay” style to fight cancer. Funds raised through the event support cancer research, education, advocacy and patient services in Tulare County. 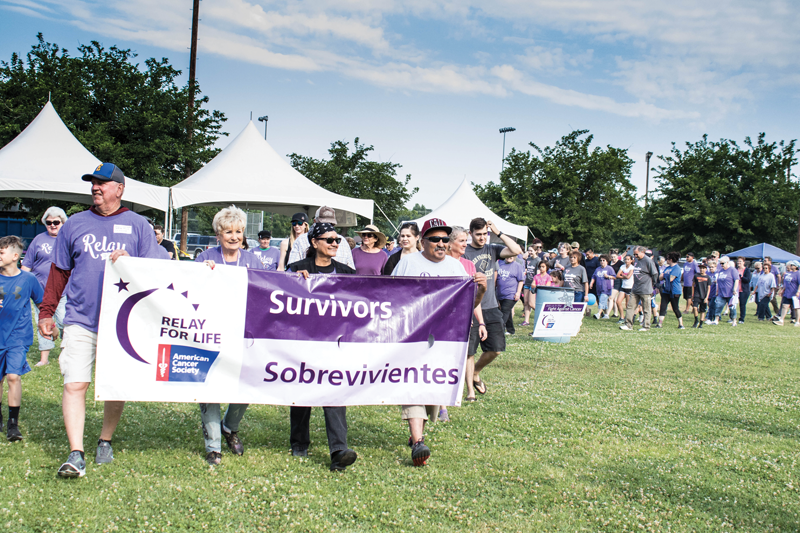 Cancer survivors are invited to celebrate their triumph over cancer by participating in an inspirational “Survivors’ Lap” to open Relay For Life. This year’s Relay for Life of Exeter will be held on Saturday, May 18th, at Dobson Field. The Survivor Lap will begin at 8 a.m. followed by a complimentary breakfast and survivor activities throughout the day. To pre-register as a survivor or to find out how to build a team for the American Cancer Society Relay For Life of Exeter, call 1-800-227-2345 or visit relayforlife.org/ExeterCA. The American Cancer Society (ACS) combines an unyielding passion with nearly a century of experience to save lives and end suffering from cancer. As a global grassroots force of more than three million volunteers, ACS fights for every birthday threatened by every cancer in every community. ACS has raised $3.4 billion to help more than 11 million people in America who have had cancer and countless more who have avoided it will be celebrating birthdays this year. To learn more about us or to get help, call us any time, day or night, at 1-800-227-2345 or visit cancer.org.